Resource Guide (it's totally free). 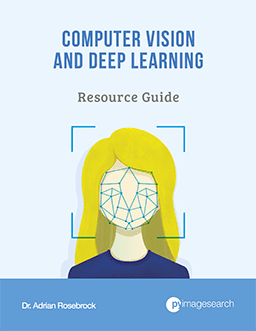 Enter your email address below to get my free 17-page Computer Vision and Deep Learning Resource Guide PDF. Inside you'll find my hand-picked tutorials, books, courses, and Python libraries to help you master computer vision and deep learning!